Notes: frangipani, tangerine essence, ylang-ylang, tuberose. The youthful freshness of Frangipani is enriched by the essence of Tangerine and softened by Ylang Ylang. The ethereal bouquet is enhanced by Tuberose and made even fresher by the essence of Tangerine. 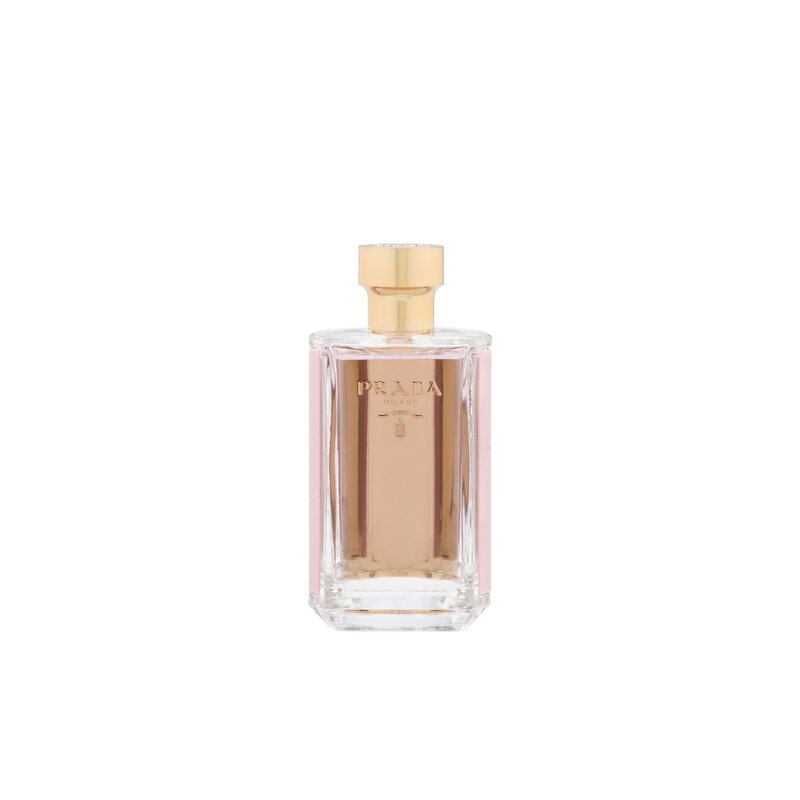 An innately feminine fragrance, it comes in a gold-tone metal bottle with pink Saffiano leather bearing the original Prada logo.